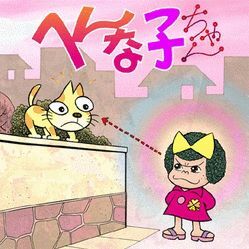 Gonzo has just announced that they will create an animated version of the gag manga Hennako-chan. Hennako-chan is about a little girl who takes pleasure messing with people and things with her psychic powers. They are going to make a weekly series of six three-minute animated shorts.